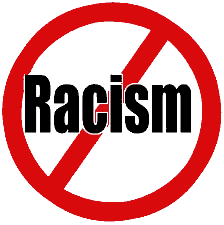 Most Americans are racist, brought-up with a peon mentality. Nobody thinks twice when rich folk of the Rockefeller clan inherit land & wealth from their grandparents or great-grandparents. Nelson & John D. Rockefeller III and many siblings weren't dispossessed for being half Aldrich and only a quarter Rockefeller. All be rich rich! But when it's an injun, or Aleut, or Hawaiian, we've learned racist blabber of "blood quantum"
Colonist rich man hijacked our thought process. Smearing our inheritance, Richie gobbles more. Ignorance & envy fuel Tribal genocide -- yes, still today. You need not open your home to everyone. That's not racism. Dramatic scripts by outsiders disenfranchise, divide & subjugate. Tribal families are swindled & deprived of inheritance. Colonialism endures by messing with our heads.